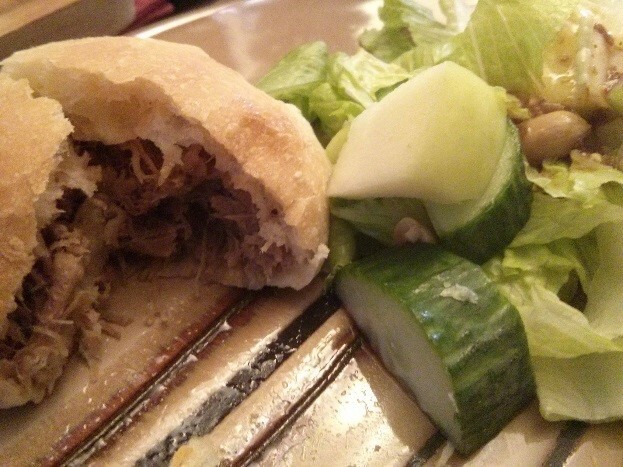 These aren’t those fancy steamed buns, but just dinner buns that I stuffed with pork marinated in Thai dressing. But it certainly is delicious! About 2 cups of pulled or shredded pork. I broiled it slowly so that it was moist and tender. Dough for 12 dinner buns. I bought it frozen so just defrosted them before filing them. Mix the marinade into the meat and cook together lightly so that most of the vinegar is cooked off of the dressing. 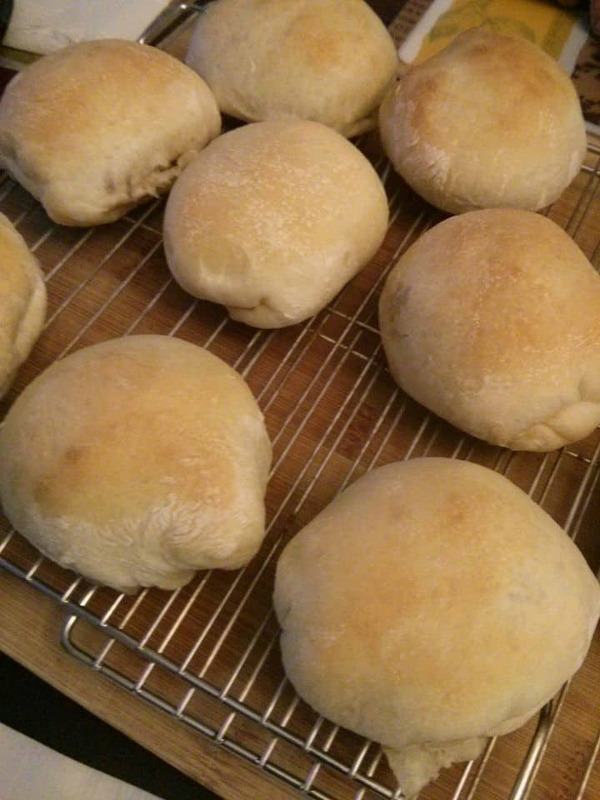 Roll each ball of dough out flat and stretch out. 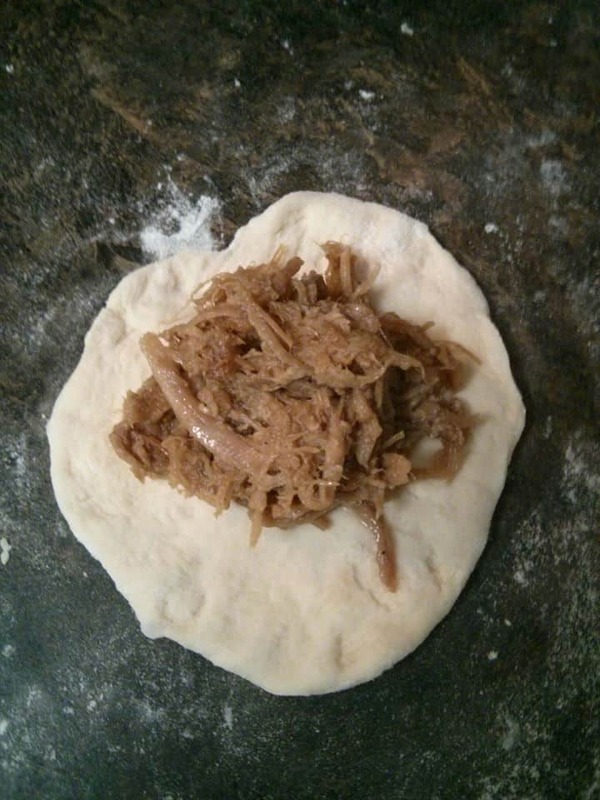 Spoon about a tablespoon of meat onto the dough and then pinch shut. Place onto parchment and repeat with all 12 buns. Allow them to rise (at least 30 minutes) and then brush with eggwash. Bake at 360°F until browned, about 15-20 minutes.